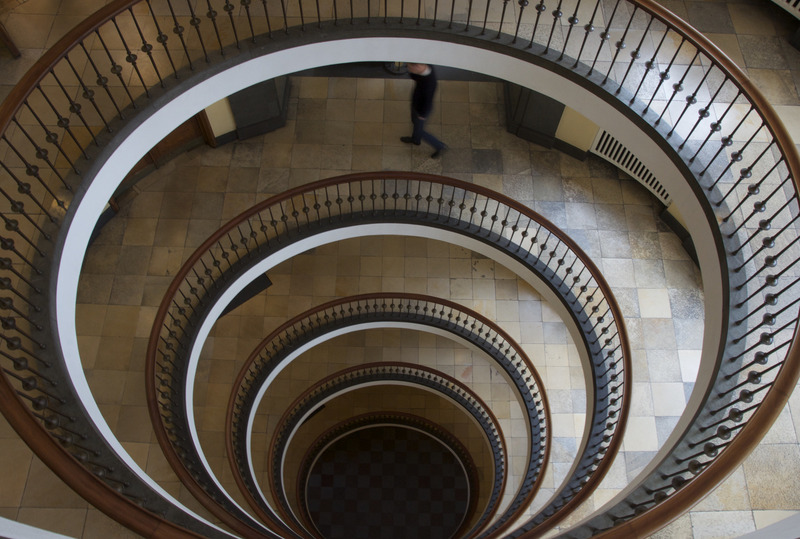 When I met Thomas Toft in Copenhagen he brought me to this very cool building with the most wonderful circular landings on each floor and doorless elevators that never stopped. You had to hop in and later hop out. Super cool. I couldn’t resist taking a number of photographs of from the top floor. Looking down was really beautiful. Here is an unprocessed image. 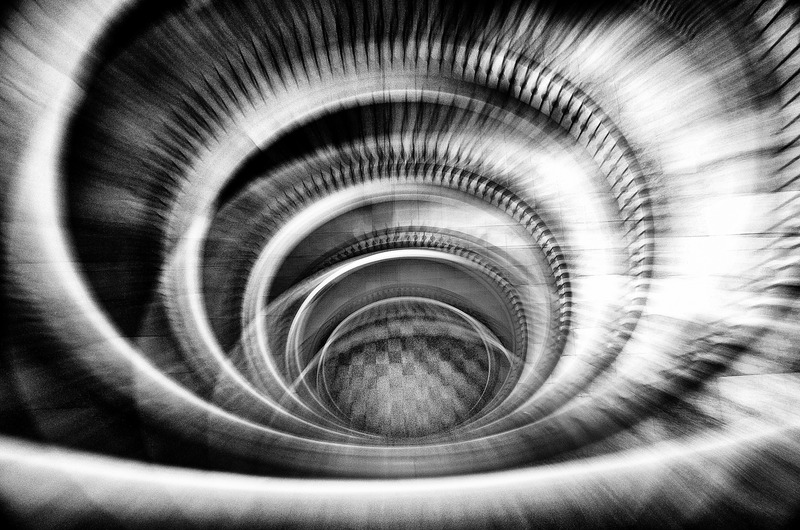 And here is a zoom burst image converted to black and white with some sliding on the contrasts and highlights. I do not like to take photographs of homeless people. It is too easy and selfish. 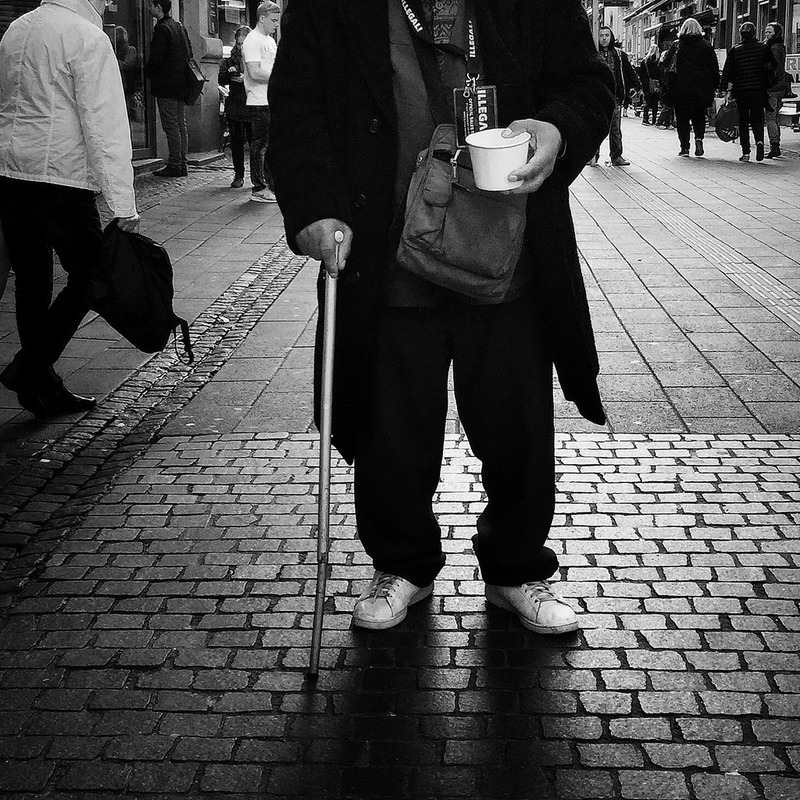 However, I am posting this image of a guy begging on the street in Copenhagen. I was stopped there taking photos of passersby and he was an obstruction, standing as he was in the middle of the road, causing people to swerve around him. He annoyed me, but in reality I was the obstruction. This was his patch and here was I, a damn tourist with an expensive camera snapping passersby. I watched for a while and saw how people passed him like he was a concrete bollard. This entry was posted in Daily posts to Flickr, iPhone, photograph posts, Street Photography and tagged Abstract art, black and white photography, blur photography, Brendan Ó Sé, Copenhagen, Copenhagen Street Photography, iPhone, iphoneography, love, mobile photography, people, photography, street photography, travel, writing.